Both the Life By Chocolate and RambleGood projects included a complete re-branding of existing small businesses focusing on small batch quality products. Design work for both included, branding, logo design & illustration, SquareSpace website design, and document design & layout to include paper products such as business cards. The photography featured on both websites is also our work including both studio settings and location work. To see more detail of my work for these clients, click on the logo images to visit their respective websites. For a better look at my illustration style for logo work, please review my watercolor illustrations and 100 Finished Artist Tiles Project portfolios. 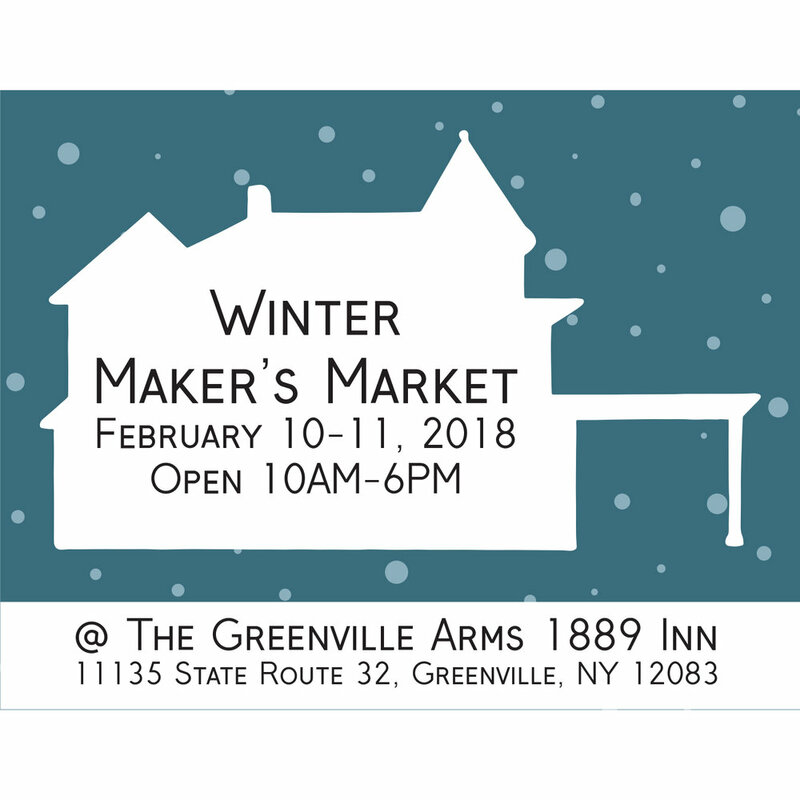 The Winter Maker's Market event & The Vanderbilt Room are projects for the Greenville Arms 1889 Inn aimed at encouraging business during the bed & breakfast's and the communities winter season. Both events involved branding, logo design, general graphic design, and a social media marketing plan and execution. The Marguerite's Stitchery project is ongoing and begun with a basic branding and product packaging design for both print and digital cross-stitch patterns.